Lurena D. Burger, 88 of Benton, passed away on Saturday evening Nov. 4, 2017 at her home, surrounded by family and friends. Born in Knoxville on May 28, 1929, she was the daughter of the late James W. and Nina Tilley Dale and spent the majority of her life in Polk County, and was of the Baptist faith. 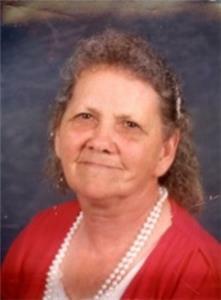 She enjoyed quilting, gardening and spending time with her family, especially her grandkids and great-grandkids. In addition to her parents, she was preceded in death by her husband, Harvey A. Burger; and a daughter, Alice F. Phillips. She is survived by her husband, Dennis Burger; ten children and spouses, Junior and Judy Burger of Benton, Kenneth and Betty Burger of Benton, Ray and Jenny Burger of Charleston, Bobby and Julie Burger of Benton, Anthony Burger of Benton Billy Burger of Benton, June and Danny Hicks of Cleveland, Jan and Sam Rayburn of Charleston, Carol and Brad Waters of Benton, and Tammy Burger of Etowah. Twenty-six grandchildren, forty-six great-grandchildren, and five great-great grandchildren, along with several nieces and nephews and other extended family also survive. Funeral services will be conducted at 7 p.m. Monday, Nov. 6 at Higgins Funeral Home with the Brother Samuel Burger, Brother Anthony Wynn and Brother David Qualls officiating. Family and friends will assemble at 11 a.m. Tuesday, Nov. 7 at Zion Hill Cemetery for the committal service. Grandsons will serve as pallbearers. The family will receive friends from 5-7 p.m. Monday, Nov. 6 at the funeral home prior to the service. Send a message of condolence and view the Burger family guestbook at www.higginsfuneral.com.